When I was a kid all I longed for was processed, artificially flavored and preservative laden food. What I got was all-natural, homemade and hippy-dippy food. My mother tortured me with her denial of Lucky Charms and Skippy Peanut Butter! And I believe I’ve mentioned before how scarred that “summer of carob” has left me. (Mind you she’s now the woman who shows up with mammoth sized Jet-Puffed marshmallows for my kids and is shocked that they don’t know what Twinkies are. Sigh. Clearly she’s still out to torture me.) Anyway, the one less than all-natural delight that somehow made it under her radar were frozen pot pies. And oh how I loved them! Fast forward 30 years and low-and-behold it turns out that I’m a hippy-dippy food feeding mom as well. However unlike my bratty junk-food desiring childhood self, my children actually think my all-natural tendencies are great! They seriously don’t know (and really aren’t interested in finding out) what Twinkies or frozen pizza taste like. Amazing, right? Maybe they were switched at birth… However all that being said, I still think fondly of those frozen pot pie nights and while I’m not racing out to fill my freezer with them, I decided to try and recreate one of my favorite childhood tastes for my own little loves. This recipe makes enough filling for two pies, we had one for dinner and I froze the other one (unbaked) for use another night. However feel free to half the recipe if you only want to make one pie. Preheat oven to 400°F. In a Dutch oven over medium heat, sauté the chicken, pearl onions and leeks until nearly cooked through, about 10 minutes. Using a slotted spoon transfer everything to a bowl and set aside. Add the carrots and celery to the pot and cook for 10 minutes, or until the vegetables have begun to soften. Stir in the peas and broth and bring to a boil. Reduce heat to low, cover and simmer for 5 minutes. In a small bowl whisk together the milk, flour, salt, poultry seasoning, and pepper. Slowly add the milk mixture to the veggies in the pan and stir until thickened. Add back the chicken, onions and leek and stir until blended. Spoon the chicken and vegetable mixture into two 9-inch deep dish pie plates. Cover with the puff pastry (or pie crust). In a small bowl whisk together the egg and 1 tbsp. of water. Brush the egg wash over the top of the pie, place on a cookie sheet and bake for 30 minutes until the crust is golden brown and the filling is bubbly. Let cool for 10 minutes before serving. So long Summer and hello soup season. I love soup. During the cool months I usually have a pot cooking on the stove every Sunday. Soup makes for the perfect busy weeknight meal, satisfying lunch or even quick breakfast (yes I’m one of those leftovers for breakfast kinda people). Good ol’ Chicken Noodle, Curried Butternut Squash, Chicken-Corn Chowder and Lentil are a few recipes in my permanent rotation. I make my lentil soup with red lentils (rather than the traditional brown), carrots, lots of onion and a bit of bacon. I don’t imagine my kids would be compelled to dig into a big bowl of brown mush, no matter how much I assured them it was delicious, and the red lentils create a lovely soup in a kid-friendly shade of orange. But regardless of the type of soup on the menu, I always make homemade dinner rolls, cornbread or drop biscuits to go along side. There’s just something about freshly baked bread that can turn even a meal of leftovers into something special. The consistency of this lentil soup is well, soup-like, rather than thick and stew-like as most lentil soups tend to be. However if you like yours thicker omit the two cups of water. 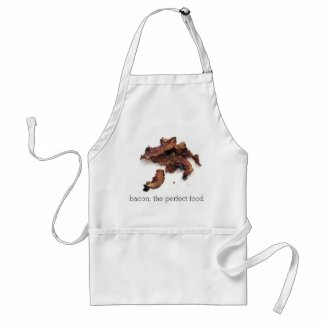 In a Dutch oven cook bacon over medium-low heat until browned and the fat has rendered, 8 to 10 minutes. Remove bacon and set aside. Add onion, garlic and carrots to rendered bacon fat and cook until softened, about 5-7 minutes. Stir in tomato paste, and cook 1 minute. Add lentils, thyme, broth, water and bacon. Bring to a boil; reduce to a simmer. Cover; cook until lentils are almost done, about 30 minutes. Stir in salt, pepper and paprika and let finish cooking uncovered another 5-10 minutes. Fish out the thyme stems and serve. These are terrific with the addition of fresh thyme, sage, basil or rosemary. Use whatever herbs you like most and happen to have on hand. In a large bowl, mix together all the dry ingredients. Add the wet mixture to the dry and blend with a fork until all ingredients are incorporated. Drop by the tablespoon full onto the prepared cookie sheet. Bake 15-17 minutes, until the tops have begun to brown. Serve warm with butter or cool and store in an airtight container.